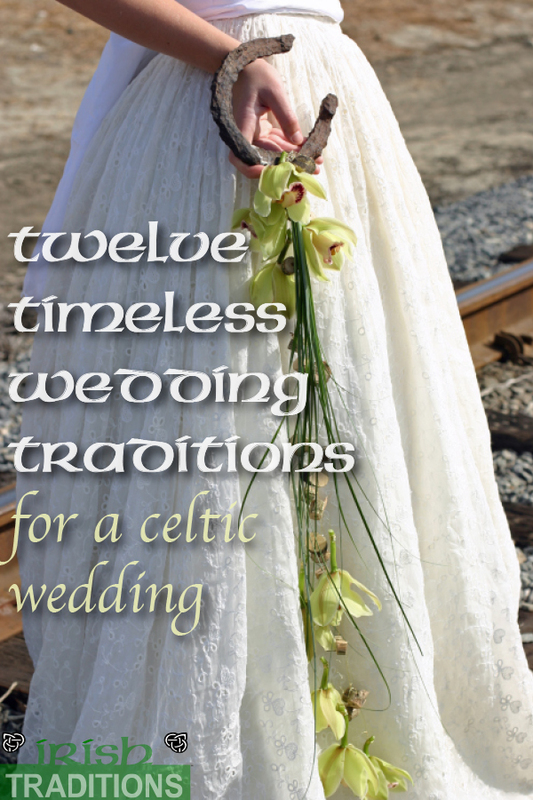 The Victorian rhyme and wedding tradition popular in Ireland and the Celtic Lands. The something old represents the new bride’s connection her family, while the something new (frequently a bridal handkerchief) is for good luck. 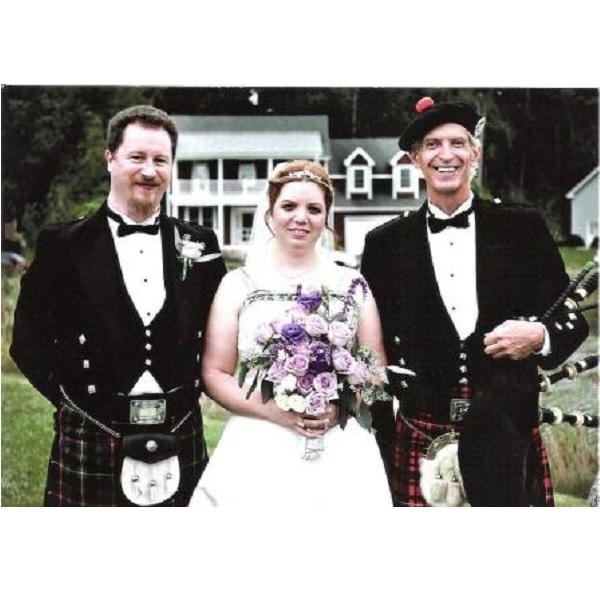 Something borrowed from a good friend symbolizes friendship, and blue is considered a lucky color in Ireland. The sixpence is so you will always be well off financially in your marriage. Tuck a sprig of shamrock into an Irish bouquet or a branch of white heather for the Scottish. Each is thought to bring good luck. Couples in ancient times were often married near some sort of water source such as a lake, river or holy well, believed to be favored by the Celtic gods. Wedding guests were given small stones to cast into the water while making a wish for the couple’s future happiness. Honey was believed to enhance fertility in ancient times, and many couples were married at a new moon as the lunar calendar was very prominent in ancient Celtic society, so the couple would drink Mead (a wine made from honey) for the first moon cycle. Mead can be included in your wedding reception as a welcome drink for guests to keep the old tradition alive. room. Likewise, individually wrapped candies can be tossed to the children to ensure “plenty” through the years. To be sown into wedding gown or to be tucked into the bridal bouquet. The horseshoe has always been associated with good luck because of the importance the Celts placed on their livestock, particularly their horses. During the marriage ceremony, usually after the blessing of the rings, the groom presents his bride with a silver coin and says, “I give you this as a token of all I possess.” The coin symbolizes his willingness to share all that he has or will have in the future. The coin is kept as a family keepsake and is passed down from mother to her eldest son on his wedding day. A newly minted coin can be used to start the tradition. From Co. Cork comes the tradition of making the last stitch on the bride’s gown on the day of her wedding for good luck. It was considered bad luck to get married in a pair of new shoes for they would entice the Irish fairies to steal the bridal couple and take them to the magical land of Tir na n’Og. Similar in spirit to the Irish Grushie, the bride tosses a decorated wedding ball “waddin’ ba'” filled with wrapped candies and coins to the children gathered outside her home or at the reception for good luck. Long ago, a bride would be veiled to hide her away from evil spirits and from fairies who would steal her for her fine dress. A veil was also thought to represent purity and chastity. The centuries-old Welsh custom of giving love spoons meant a would-be suitor gave a spoon to the girl he wished to court. Begun in the 15th century, the suitor often carved the spoon himself or commissioned a spoon. Spoons became very ornate with symbols of love and promise.